Get notified when Jersey Boys tickets are available! 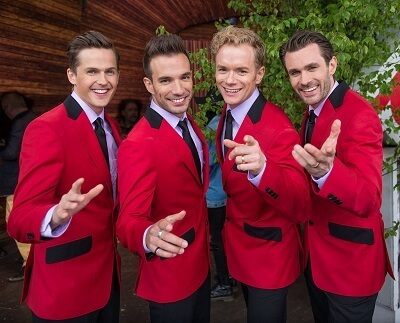 Jersey Boys is a popular musical that has won multiple awards, including a Tony Award and a Grammy Award. The musical tells the story of the 1960s rock band The Four Seasons and includes a number of the group’s hits, including “Sherry,” “Big Girls Don’t Cry” and “December 1963.” Jersey Boys continues to be produced on Broadway and is also put on by theater groups in cities across the United States. Regional touring companies also bring the show to audiences in major cities. You can buy Jersey Boys tickets to see them live by using the links above.